The Top Billing wedding of Takkies and Chris was held at Steynshoop Mountain and valley lodge in Magaliesburg. This wedding was aired on Top billing on the 31st of August 2017. 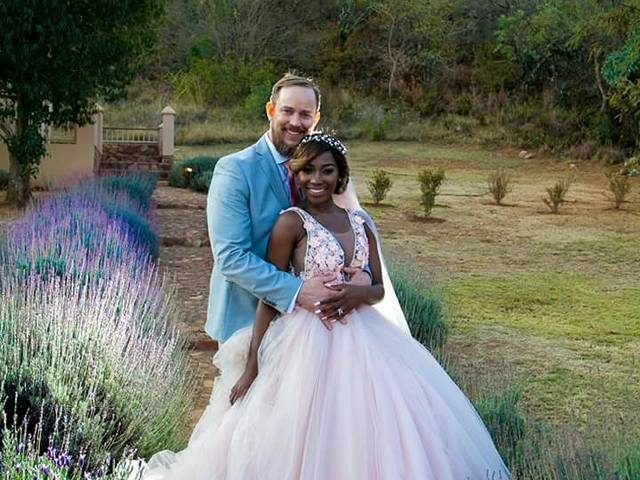 This Top Billing Wedding at Steynshoop Wedding Venue Magaliesburg was of chorerographer Nkteko Maswanganye Takkies and her British Love Chris Dinwiddy. The Top billing wedding took place on 5 August 2017 at the Steynshoop Wedding Venue Magaliesburg. For this Top Billing Wedding at Steynshoop Wedding Venue Magaliesburg, Steynshoop arraganged catering for 111 Guests. Steynshoop also aranged for accommodation in both the Mountain and the valley lodge for all 111 Guests. Steynshoop supplied the wedding cakes as well as the flowers and the décor for the Top Billing Wedding at Steynshoop Wedding Venue Magaliesburg. This was done by Hanneli Landman from Steynshoop. To see some more of the photos taken by at the Top Billing Wedding at Steynshoop Wedding Venue Magaliesburg click here.